The base unit for volume measurement in the customary system is the fluid ounce. 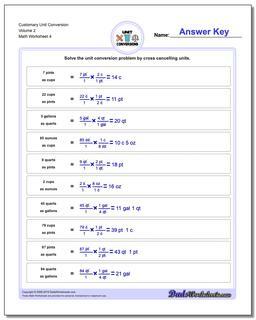 While this unit shares its name with the unit of mass, it is a distinct measurement. Coincidentally, however, a troy ounce is roughly equivalent to a fluid ounce of water, however this similarity should not be relied on and students should always differentiate between the two types of ounces when working problems. It is also worth pointing out that the 'troy ounce' which is commonly used as a measurement for precious metals is actually slightly heavier than the customary ounce (roughly 1.1 ounces). Units of volume in the customary system have more independent units than other categories. There are 8 ounces to one cup, 2 cups per pint, 2 pints per quart and 4 quarts per gallon. 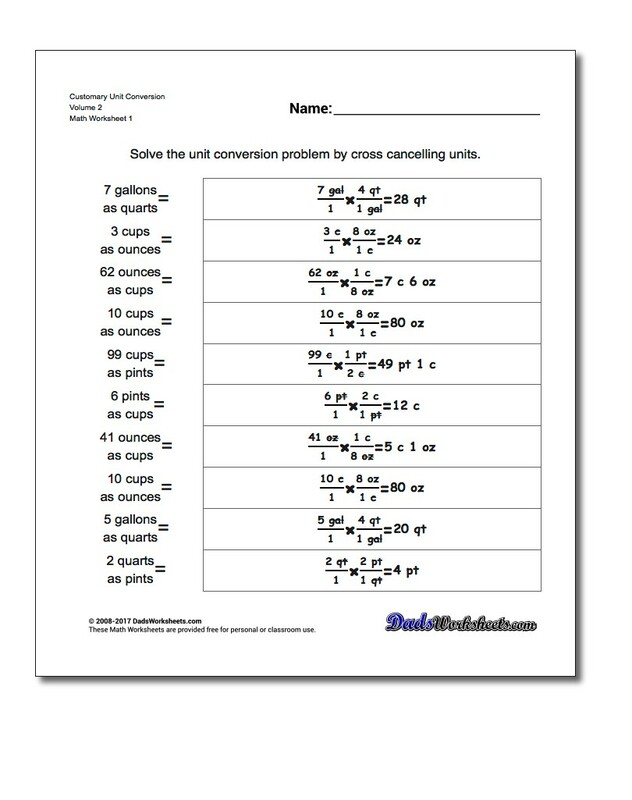 Converting between units that are far apart on this scale requires multiplying a large number of constants, for examples to get fluid ounces to gallons the conversion is (8x2x2x4) = 128 ounces per gallon. 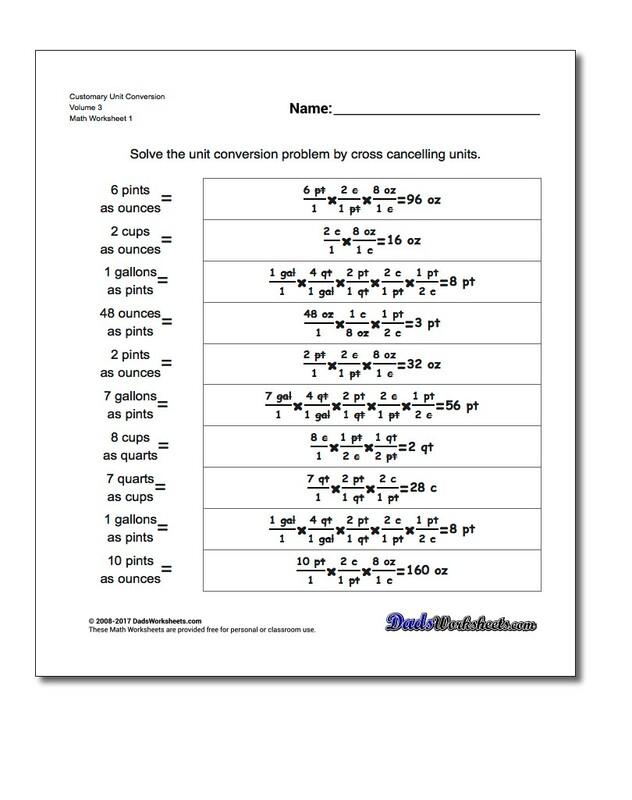 Because of the number of small units of measure, converting between customary volume units requires attention to detail. 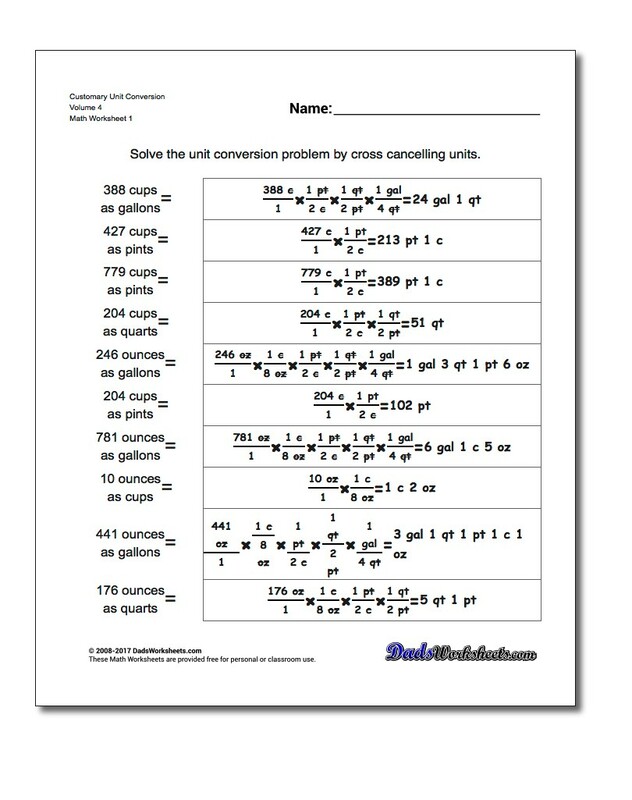 The conversion worksheets in this section cover ounces to gallons, quarts to gallons, pints to gallons, gallons to ounces and many of the other variations of volume conversion, some of which require many intermediate conversions to get the correct answer.